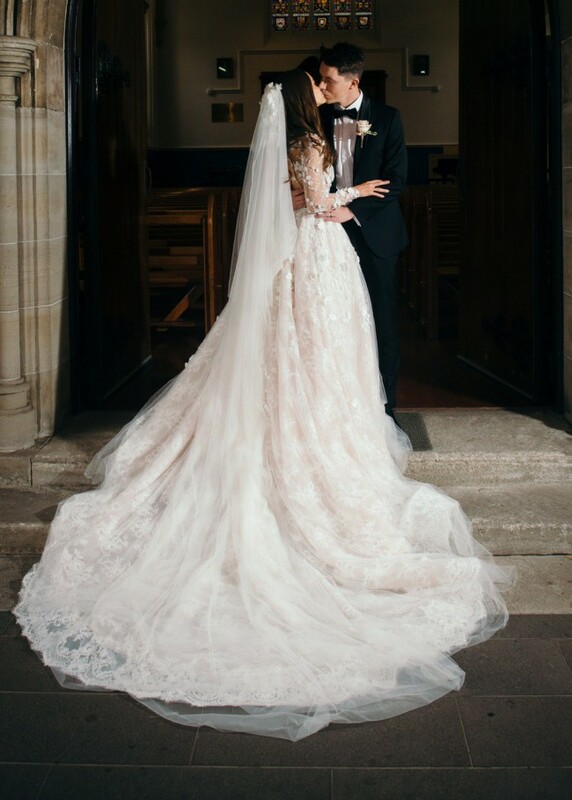 I purchased this stunning custom made gown second hand from Sydney. I had the sleeves and waist altered to fit a small size 6. The dress is so detailed, with 3D flowers all over the bodice and down the dress. It has 9 layers of tulle and lace. This was my dream wedding dress and I hope it makes another girl feel beautiful on her wedding day! *Veil is also included! Sleeves were taken out. Waist was taken out and clip added to be adjustable.